1. Do you have a budget? Before you start any type of business large or small you have to have some type of budget. Whether its $1,000 or $10,000 you will need to have a budget to get started. To hire a designer is going to cost money upfront and to make prototypes its going to cost money. Your initial budget will determine how far you can go to get started in the industry before you look to outside funding. 2. Who is your target market? You need to define your core target market, who are you designing for, what type of stores does your ideal customer shop at, what is her basic demographics? I suggest writing a few paragraphs defining your ideal customer. Discuss where she lives, shops, what is her income level, family status, age, where does she live. Ideally you want all women from age 20 to 70 to be able to purchase your bags, but you must be able to define your core target audience in order to help you come up with a design, marketing, sales and pricing strategy for your collection. You need to define your core target audience before you can start the design, marketing and sales process. You absolutely must know whom you are designing for before you even put pen to paper. 3. Who is your competition? You need to define your competition to see where your bag collection will sit in the market place. If your competition is Wal-Mart or Target, you might want to rethink your strategy. Can you compete with them on price? Not likely. If your competition is Michael Kors you will need to do some research on that price point and find out if that part of the market is saturated. Do you want to enter that part of the market that is already saturated? These are just a few examples. By defining the competition it will help you define your strategy for market entry. It will help you decide if you can produce domestically or aboard. For example: If you are making bags at the same price point as Target for example with an average price of $19.99, then obviously you will not be able to make them in the USA. 4. Is your idea for a bag collection fulfilling a need in the market place? The most successful start up brands in the fashion industry is those that are fulfilling a need or identifying a niche in the marketplace. Are your plans to design an ipad bag with special features for working women? Or is it just another handbag that looks like every other bag on the shelves? Are you offering something new to the end user? If so you have a much better chance for success. 5. Have you educated yourself on how the wholesale/retail market works? Before you launch your brand you should read and learn as much as you can about the accessories and fashion industry. Read industry publications such as WWD. Find books on amazon on how to start a fashion line. Write a business plan even if it’s just a rough draft. Starting in the fashion industry is fun and exciting but you do need to do your homework and have some type of road map. Those who enter the industry with a plan have the best chance for success. 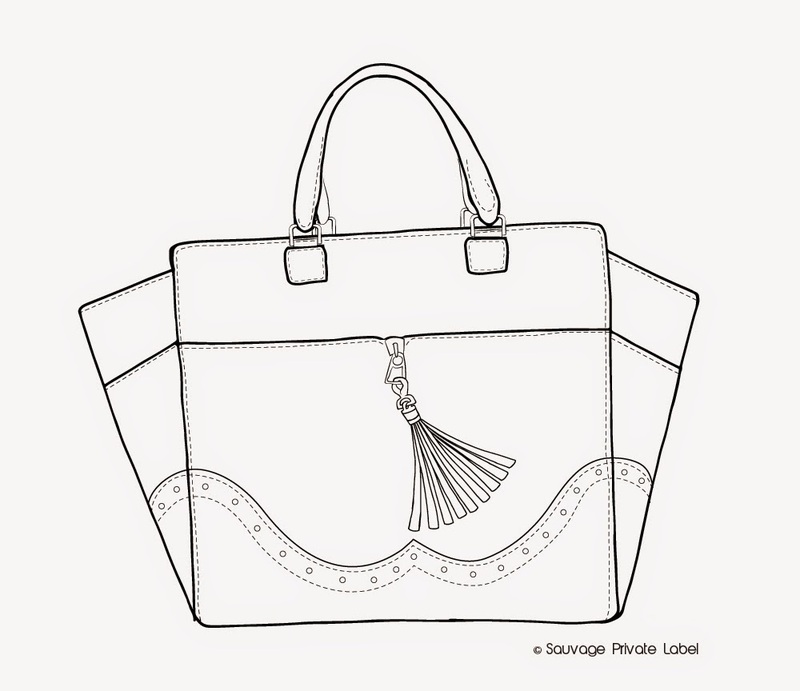 design a line freelance handbag design handbag line start up company.